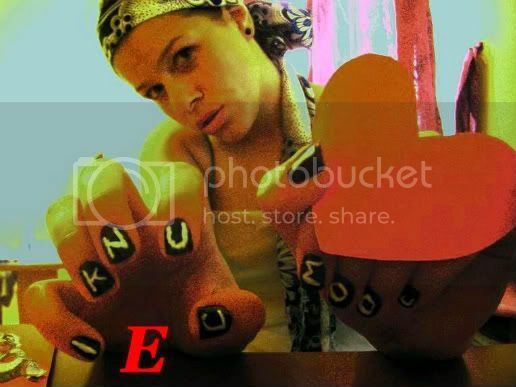 Mode Junkie: hideous or not? this sweater is the other part of my ebay buy! it is kinda like bordering the hideous limit but so 80's that i don't really give a damn. do you have pieces like this in your closet? to quote le boyf: "you look like a walking disco ball. ;)"
and YES, you can still can win THIS bag i am wearing from TaschenTrend! amazing nappa leather and this color is so versatile. I JUST WANT TO THANK EVERYBODY WHO HAS VOTED AND COMMENTED. you don't even know how happy and thankful i am. 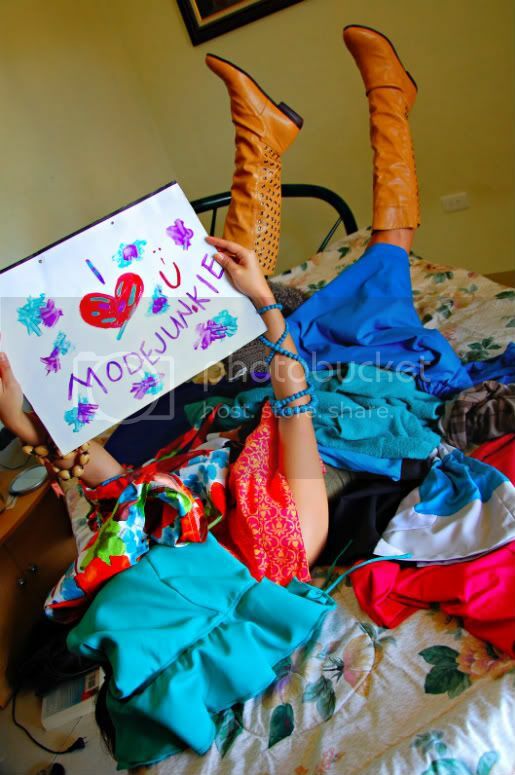 here are some of the i love modejunkie photos i have received so far. the contest ends on june 15 so keep them coming guys! 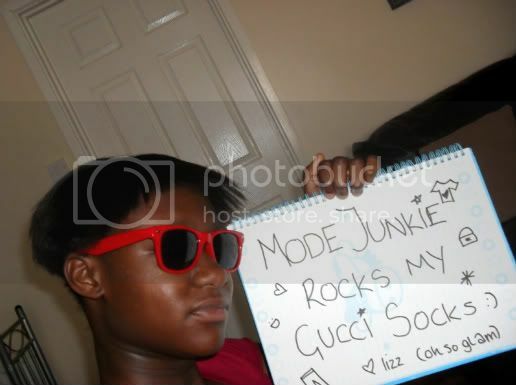 like lizz wrote, YOU ALL ROCK MY GUCCI SOCKS! i didn't expect that somebody would even take time to do this. love you guys! dein outfit ist der hammer!!!!! 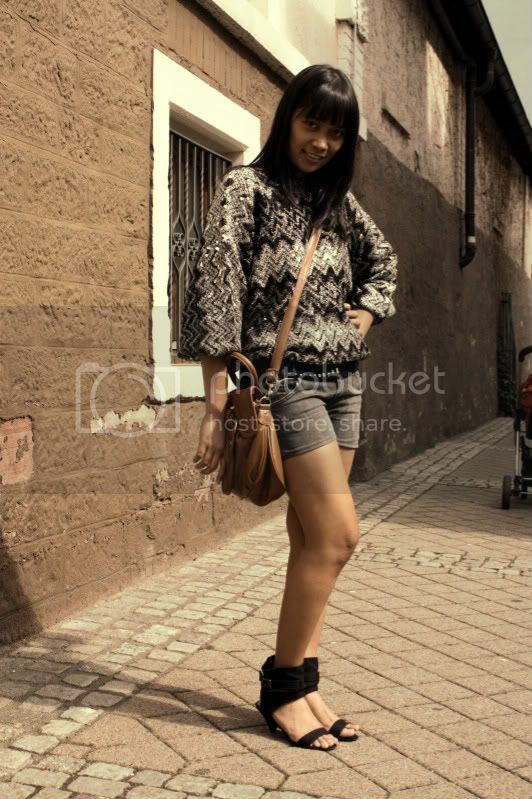 oh what a discoball :) the sweater is hot and so are your shoes sweety! And I like your sandalas! So perfect for me! I love your shoes too!! hiihihihihi. Entries are all so cute! oh i can't believe am there. hihihiihi. i love the top and shorts combo and the shoe! cool vibe! i love it. Your outfit is rockin' fabulous! The sweater is a unique item - congrats on your find!!! You look very beautiful! I like to wish you and your family a perfect happy weekend! those responses are just exciting to witness! thats so great they all did it . 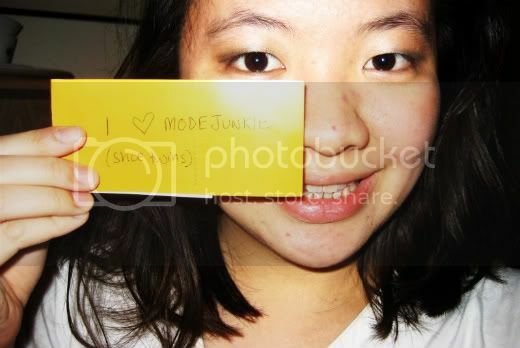 I want to make a sign for mode junkie! What a wonderful post... wonderful outfit from head to toe. The black sandals look so chic and also so comfortable to wear! Had to smile about all your wonderful supports you´ve recveived..
and happy sunny & relaxing weekend! awwww :) Thanks posting my photo! btw, I love your sandals! Ohmygod I love this. The sweater and all it's disco ball 80's revival glory, is HOT. You look amazing babe, of course, because... you always rock it. 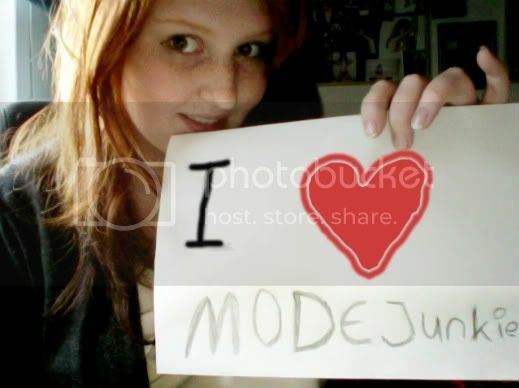 I love Mode Junkie, too! LOL! cute bag. what great support! That is awesome!!! Maybe I should think of doing something like that, you never know the things people will write back! Its awesome!!! This is fun. Girls are so creative! amazing all of them!!!! you started a rumble girl!!!!! oh man, it seems I'm too late to enter, oh well. Love that sweater! and cograts for all this creative girls!